Italian Sugar Art of Ivana Bonardi uses the data collected to improve your experience with us and through your consent offer tailor-made offers, save you time, and make your purchases even more comfortable. The following information is prepared, pursuant to art. 13 of EU Regulation 2016/679 ("Regulations"), by ITALIAN SUGAR ART of Ivana Bonardi ("ITALIAN SUGAR ART"), in relation to the personal data of users collected during access and / or registration on the website www. italiansugarart.it ("Site") and / or the making of a purchase on the Site and / or the request for assistance and customer care services of the Site (cumulatively, the "Site Services"). 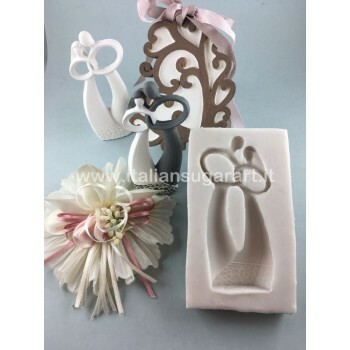 ITALIAN SUGAR ART operates on the Site, as a provider of the registration service and the sales service. The personal data of the user are therefore processed by ITALIAN SUGAR ART. The information that follows is made, therefore, pursuant to art. 13 of the Rules, with reference to ITALIAN SUGAR ART. As the provider of the registration service, of the seller on his own, as well as the subject in which, exclusively, the identification and implementation of the technical and organizational procedures that govern the processing of personal data residing on the Platform, ITALIAN SUGAR ART assumes the role of "data controller" of the user's personal data, pursuant to art. 4.7) of the Regulations, for the purposes illustrated in sections 4, 5, 6, 7, 8, 9, 10 11 and 12 of this information. 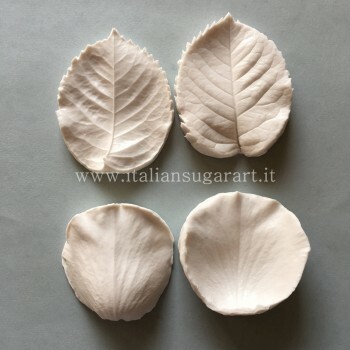 ITALIAN SUGAR ART of Ivana Bonardi, with registered office in Via Giordanao Bruno, 4 20154 Milan (MI), VAT number / tax code 09568870969 , e-mail info@italiansugarart.it , is the owner of the processing of personal data of users collected in the use of Site Services and, in particular, access and / or registration to the Site and / or the making of a purchase on the Site and / or the request for assistance and customer care services of the Site. allow registration to the Site and use of the services reserved for registered users, including the possibility to purchase online through the Website. execute requests sent by the user himself. The legal basis for this processing is the fulfillment of the contract or, as the case may be, the execution of pre-contractual measures taken at the request of the party concerned (Article 6.1.b) of the Regulation). For this purpose, ITALIAN SUGAR ART will process the user's data for the time strictly necessary for the performance of the individual processing activities (eg: registration data will be processed until the account is closed, taking into account the technical times required for the same; the data necessary for the execution of the purchase contract, will be processed until the delivery of the product or, in case of non-delivery, until the termination of the contract), provided that, once this deadline has expired, ITALIAN SUGAR ART may store the data for purposes and for the maximum retention periods referred to in sections 8, 9,10,11 and 12 of this informative note and / or, in any case, in the cases established by the Regulations and / or by the law. With the express consent of the user, ITALIAN SUGAR ART will process the personal data of the user to send information and promotional communications, including the newsletter, discount coupons and special offers, related to products and / or services of their own and / or third parties as well as for direct sales and market research, by e-mail and by postal service. The legal basis of this processing is the user's express consent (Article 6.1.a) of the Rules). The provision of data for the purpose of generic marketing is optional: there is no legal or contractual obligation on the user to provide such data for this purpose and / or to give consent to the processing of his personal data for this purpose. For the purpose of generic marketing, ITALIAN SUGAR ART will process the user's data until the revocation of consent and / or the exercise of the right of opposition and, in any case, no more than four years from the data collection, reserving the right, before expiry of this deadline, to ask the user to renew consent and / or update the data. ITALIAN SUGAR ART will process the e-mail coordinates (ie the e-mail address) provided by the user in the context of the purchase of a product and / or service offered and sold on the Website directly by ITALIAN SUGAR ART, to allow ITALIAN SUGAR ART the direct sale of similar products or services (and therefore the sending by e-mail to the user of promotional communications concerning such products and / or services) without the express and prior consent of the interested party, as provided art. 130, fourth paragraph, of the Privacy Code, and on condition that the user does not exercise the right of opposition with the methods indicated below (so-called soft-spam). The legal basis for this treatment is art. 130, fourth paragraph, of the Privacy Code that expressly allows the processing in question. through the appropriate link in any promotional communication sent by ITALIAN SUGAR ART. For the purpose of soft-spam, ITALIAN SUGAR ART will process the user's data up to the exercise of the right of opposition and, in any case, no later than 4 years from collection, except for the purchase details that will be stored and processed for soft-spam purposes for a period of 24 months from collection. The provision of data for the purpose in question is optional: there is no legal or contractual obligation on the user to provide such data for this purpose. Failure to provide data for the purpose of soft-spam or the opposition to such treatment will not have any consequence on the possibility of the user to register on the Site and / or make purchases on it. in the event that the user opposes the processing of his data for soft-spam purposes, his data will no longer be processed by ITALIAN SUGAR ART for this purpose and will be retained by ITALIAN SUGAR ART only if there is a other legal basis (such as, for example, the assessment, exercise or defense of a right in court or administrative). send, by e-mail or by post, and / or display on the Website to users personalized offers, that is combined with the cluster in which the user has been entered and, therefore, of his presumed specific interest. All the processing steps, including the final decision about the promotional communication to be sent or displayed to the user on the basis of the cluster (s) they belong to, take place completely automatically, without any human intervention, on the basis of an algorithm whose parameters they have been previously set by ITALIAN SUGAR ART. The decision based solely on automated processing, including profiling, produces legal effects affecting the data subject (ie the limitation of his freedom of choice) and is permitted by the exemption reason pursuant to art. 22.2.a) of the GDPR, as it is necessary for the execution of the contract between the data controller and the data subject and / or in any case connected to this contract and its validity and effectiveness. challenge the decision taken by ITALIAN SUGAR ART (ex: inclusion in a given cluster). The legal basis of this processing is the explicit consent of the interested party (Article 21.1.c) of the Rules). 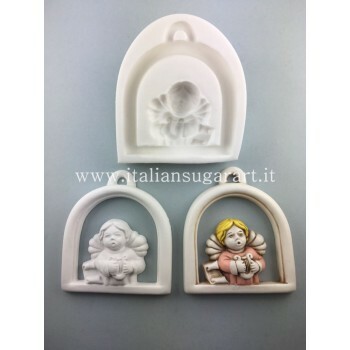 For the purpose of profiling for marketing purposes, ITALIAN SUGAR ART will process the user's data until the revocation of the consent and / or the exercise of the right of opposition and, in any case, no later than 12 months from the collection. The provision of data for the purpose of profiling for marketing purposes is optional: there is no responsibility for the user a legal or contractual obligation to provide such data for this purpose and / or to give consent to the processing of his data for that purpose. purposes. the failure to provide data for the purpose of profiling for marketing purposes and / or the failure to provide consent to such processing and / or revocation of such consent and / or the exercise of the right of opposition will not have any consequence on the possibility of user to register on the Website and / or to make purchases on the same. ITALIAN SUGAR ART will process user data for general assistance and customer care activities and then to respond to requests for information from users or to respond to complaints, reports, disputes and in order to allow the user, if desired , to release a review. The legal basis of this processing is the execution of pre-contractual measures taken at the request of the interested party (article 6.1.b, last sentence of the Regulation) or, as the case may be, the legitimate interest of ITALIAN SUGAR ART (Article 6.1 .f) of the Regulations). ITALIAN SUGAR ART is a legitimate interest in responding to requests for information and / or reviews and / or complaints and / or complaints and / or complaints from users of the Site (to which, moreover, ITALIAN SUGAR ART is required to respond, also on the basis of the legislation referred to in the Consumer Code). This legitimate interest of ITALIAN SUGAR ART also coincides with the legitimate interest of the users of the Website who make the requests and / or reports and / or disputes and / or complaints in question and, therefore, in the context of the relationship with ITALIAN SUGAR ART, we can reasonably expect them to expect their personal data to be used by ITALIAN SUGAR ART to give feedback. The legitimate interest of ITALIAN SUGAR ART identified in this way can be considered prevalent on the fundamental rights and freedoms of the interested party, also due to such reasonable expectations and the relationship between the interested party and ITALIAN SUGAR ART and in consideration of the nature of the data processed. and the coincident interest of the same interested parties. In any case, the user has the right to oppose, at any time, for reasons related to his personal situation, to the processing of personal data concerning him for the purpose in question (ie assistance and customer care). In the exercise of the right to object to the processing of data for assistance / customer care purposes, ITALIAN SUGAR ART abstains from further processing the personal data of users for this purpose, unless it proves the existence of binding legitimate reasons to proceed with the treatment which override the interests and rights and freedoms of the data subject or for the establishment, exercise or defense of a right in court. The provision of personal data for the purpose in question is optional: there is no legal and / or contractual obligation to communicate data; however, given the purpose of the processing, the failure to communicate data and / or the exercise of the right of opposition may make it impossible to respond to requests and / or complaints and / or complaints and / or complaints of users, if the response to these requests implies the processing of personal data of the user. For this purpose, ITALIAN SUGAR ART will process the user's data for the time necessary to perform the requested activities and, therefore, in particular, for the time necessary to provide the information requested by the user or to respond to complaints and / or reports. and / or to the complaints presented by the user or to publish the review issued by the user. ITALIAN SUGAR ART will process the personal data of users in order to prevent the misuse of its services and, in particular, the non-payment of purchases made on the Site, including through monitoring of user behavior. This treatment will take place through an automated system that operates on the basis of the rules set by ITALIAN SUGAR ART and that takes into account the user's history regarding the payments made on the site. The legal basis of this processing is the legitimate interest of ITALIAN SUGAR ART (article 6.1.f) of the Regulations). 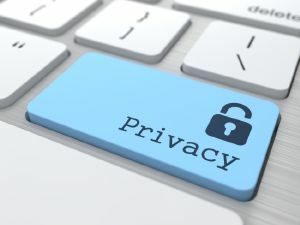 In any case, the user has the right to object, at any time, for reasons connected with his personal situation, to the processing of personal data concerning him / her for the purpose in question (ie fraud prevention). All the stages of the treatment, including the analysis of the system to decide whether a user is a good or a bad payer and the decision about the resolution of the purchase contact, in the latter case, take place in a completely automated way, without any intervention human, based on an algorithm whose parameters were previously set by ITALIAN SUGAR ART and which provides for the termination of all contracts related to subjects identified by the system as "bad payers". The decision based solely on automated processing, including profiling, produces legal effects affecting the data subject (ie the termination of the purchase contract) and is permitted by the exemption reason pursuant to art. 22.2.a) of the GDPR, as it is necessary for the execution of the contract between the data controller and the data subject and / or in any case connected to this contract and its validity and effectiveness. challenge the decision taken by ITALIAN SUGAR ART. For the purpose of preventing the misuse of the Website Services, ITALIAN SUGAR ART will process the personal data of users for 24 months from collection. failure to provide personal data for the purpose in question or opposition to the use of such data for this purpose will not have any consequence on the user's ability to register on the Site and / or make purchases on the same. in the case of exercising the right to object, ITALIAN SUGAR ART abstains from further processing the personal data of users for this purpose, unless it proves the existence of binding legitimate reasons to proceed with the processing that prevail over the interests and rights and freedoms of the concerned or for the establishment, exercise or defense of a right in court. ITALIAN SUGAR ART will process user data for the execution of administrative and / or accounting and / or tax obligations related to the performance of the Website Services and / or the purchase contract concluded through the Website, such as, by way of example, keeping the accounting records and issuing the sales invoice. The legal basis of this treatment is the fulfillment of legal obligations to which ITALIAN SUGAR ART are subject. The provision of data for the purpose in question is mandatory, because their processing is necessary to allow ITALIAN SUGAR ART to fulfill legal obligations on the same. Any refusal to provide data for this purpose will make it impossible for the user to use the Website Services and, in particular, to conclude the purchase contract through the Website. For this purpose, ITALIAN SUGAR ART will process the user's data until the expiry of the terms of the law provided for the execution of each administrative-accounting and fiscal fulfillment and / or for the retention times required by law for the preservation of the relative documentation . receive and respond to requests for the exercise of rights in the matter of protection of personal data provided for by the Regulations and carry out all consequent activities. 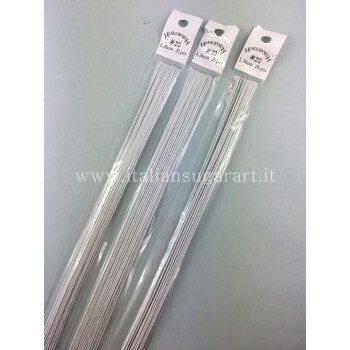 The provision of data for the purpose in question is mandatory, because their processing is necessary to allow ITALIAN SUGAR ART to comply with legal obligations as well as the user to exercise the rights that the law or the contract assign to him. Any refusal to provide data for this purpose will make it impossible for the user to exercise such rights. For this purpose, ITALIAN SUGAR ART will process the data until the expiry of the legal terms provided for the exercise of the right (limitation period and / or forfeiture) or, in the case of exercising these rights, for the time necessary to manage and closure of the practice; in the case of exercising the rights envisaged by the Regulations, the data will be processed until the certification, by the data controller, has fulfilled the request or until the fulfillment itself, depending on which of the two events occurs last. ITALIAN SUGAR ART will process user data for the assessment, exercise or defense of a right in all relevant offices. The legal basis of this processing is the legitimate interest (Article 6.1.f) of the Rules. It is a legitimate interest of the data controller to seek remedies to ensure compliance with their contractual rights or to prove that they have fulfilled the obligations arising from the contract with the data subject or imposed on the data controller by the law. This legitimate interest is, in its turn, grounded in the constitutionally protected right to defense. It can therefore be considered prevalent on the fundamental rights and freedoms of the interested party, also due to the reasonable expectations of the same. In any case, the user has the right to oppose, at any time, for reasons connected with his personal situation, to the processing of personal data concerning him / her for the purpose in question (ie defense of a right / purpose of justice) . The personal data provided by the user can be communicated by ITALIAN SUGAR ART to the categories of recipients indicated below. The subjects to whom ITALIAN SUGAR ART communicates the data, act as external managers of the treatment designated by ITALIAN SUGAR ART through a specific contract (" Data Processors ") or persons authorized to process personal data under the direct authority of ITALIAN SUGAR ART or, in the case of third parties for which the Data Processor uses, as " Sub-Responsible ", pursuant to art. 28.4 of the Regulations, except in cases where the recipients act as independent data controllers, such as, for example, in the case of the Payment Service Provider, or even autonomous data controllers, as in the case of the couriers. to all those subjects, including public authorities, who have access to data under regulatory or administrative provisions. to all those public and / or private subjects, natural and / or legal persons (legal, administrative and fiscal consultancy), if the communication proves necessary or functional to the correct fulfillment of the contractual obligations assumed in relation to the Site Services, including the purchase contract, as well as the obligations arising from the law or in the case of assessment, exercise or defense of a right. The interested party has the right to object at any time, for reasons connected with his particular situation, to the processing of personal data concerning him / her for the purposes set out in sections 8, 9 and 12 of this statement and having as its legal basis the legitimate interest of the data controller. In the event that the data are processed for direct marketing purposes (and therefore in the case of processing for the purposes set out in sections 5, 6, and 7 of this statement), the data subject also has the right to object at any time. to the processing of personal data concerning him for these purposes, including profiling in so far as it is connected to such direct marketing. through the named account section. In the exercise of the right of opposition, the data controller refrains from further processing personal data, unless he demonstrates the existence of binding legitimate reasons to proceed with the processing that prevail over the interests, rights and freedoms of the data subject. or for the assessment, exercise or defense of a right in court. If the data subject objects to processing for direct marketing purposes, personal data are no longer processed for this purpose. The interested party has the right to obtain from the data controller (and, therefore, from ITALIAN SUGAR ART) the confirmation that it is or is not undergoing the processing of personal data concerning him and, in this case, obtaining access to the data personal data and the information indicated below. If personal data are transferred to a third country or to an international organization, the data subject has the right to be informed of the existence of adequate guarantees regarding the transfer, pursuant to art. 46 of the Rules. The data controller provides a copy of the personal data being processed. In case of further copies requested by the interested party, the data controller may charge a reasonable fee contribution based on administrative costs. If the interested party submits the request by electronic means, and unless otherwise indicated by the interested party, the information is provided in a commonly used electronic format. The interested party has the right to obtain from the data controller the correction of personal data concerning him without undue delay. Taking into account the purposes of the processing, the data subject has the right to obtain the integration of incomplete personal data, also by providing an additional declaration. personal data must be deleted in order to fulfill a legal obligation under Union or Member State law to which the controller is subject. If the data controller discloses the personal data and is obliged to delete them, taking into account the available technology and the costs of implementation, it adopts reasonable measures, including technical ones, to inform the data controllers who are processing the personal data of the request of the data subject to delete any link, copy or reproduction of his personal data. the interested party opposed the processing in the hypothesis of treatment based on the legitimate interest of the data controller, for reasons related to his particular situation (and, therefore, in case of opposition to the processing of data for the purposes referred to in sections 8, 9 and 12 of this information), pending verification of the possible prevalence of the legitimate reasons of the data controller with respect to those of the interested party. If the treatment is limited, the personal data object of the limitation are treated, except for the conservation, only with the consent of the interested party or for the verification, the exercise or defense of a right in court or to protect the rights of another natural or legal person or for reasons of a significant public interest of the Union or of a Member State. The party who has obtained the processing limitation is informed by the data controller before the limitation is revoked. The interested party can then exercise the right in object in relation to the purposes set out in the following sections of this information: 4.5, 7. In exercising its right to data portability, the data subject has the right to obtain direct transmission of personal data from one data controller to another, if technically feasible. The exercise of the right to portability is without prejudice to the right to cancellation. The right to portability must not harm the rights and freedoms of others. The data controller provides the data subject with information about the actions taken in relation to a request to exercise the rights recognized by art. from 15 to 22 of the Regulations (ie right of access, right of rectification, right of cancellation, right to limit the processing, right to data portability, right of opposition) and referred to in sections 15, 16, 17, 18, 19 and 20 of this informative note (" Rights of the Interested Party"), without unjustified delay and, in any case, within one month from receipt of the request.This deadline may be extended by two months, if necessary, taking into account the complexity and the number of requests. this extension, and the reasons for the delay, within one month from receipt of the request If the interested party submits the request by electronic means, the information is provided, where possible, by electronic means, unless otherwise indicated by the interested party. If the data controller does not comply with the request, the data controller shall inform the data subject without delay, and no later than within one month of receiving the request of the reasons for the non-compliance and the possibility of filing a complaint with a control and to propose a judicial remedy. refuse to satisfy the request. When the data controller has reasonable doubts about the identity of the natural person who submits the request relating to the rights of the interested party, he / she may request further information necessary to confirm the identity of the person concerned. Without prejudice to any other administrative or judicial appeal, the interested party who considers that the treatment concerning him / her is in violation of the Regulation has the right to lodge a complaint with a supervisory authority, particularly in the Member State in which he normally resides, works or the place where the alleged violation has occurred. The supervisory authority to which the complaint has been lodged shall inform the complainant of the status or outcome of the complaint, including the possibility of a judicial remedy.